Defending champion,Spain have being knocked out of the World Cup after losing their second consecutive match to Chile by 2-1 in Rio Janiero. 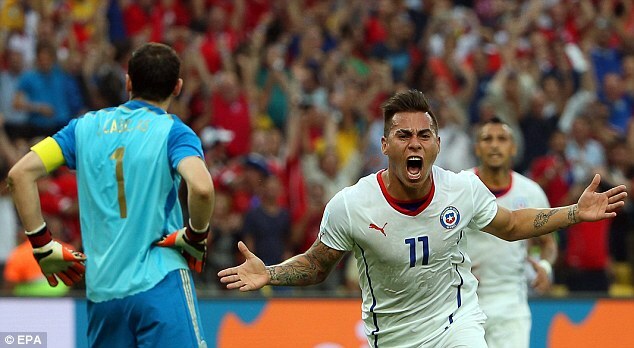 Eduardo Vargas finished off a well-worked Chile move by poking in a shot to give his side an early lead. 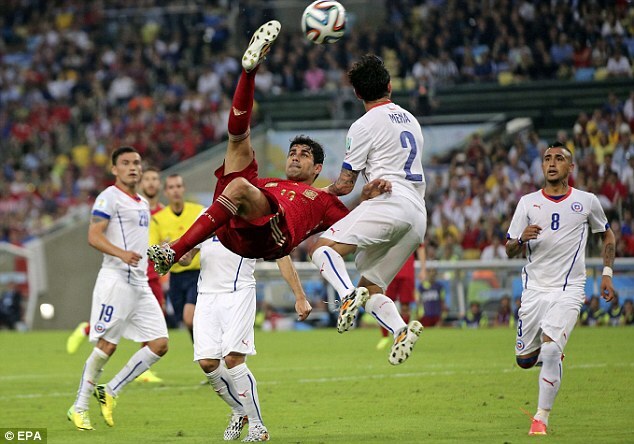 A mistake from Spain keeper Iker Casillas allowed Charles Aranguiz to smartly finish for add Chile's second. 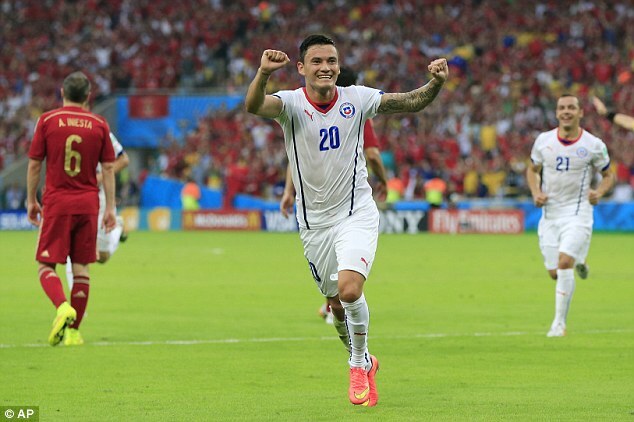 Chile won, not comfortably, but well. 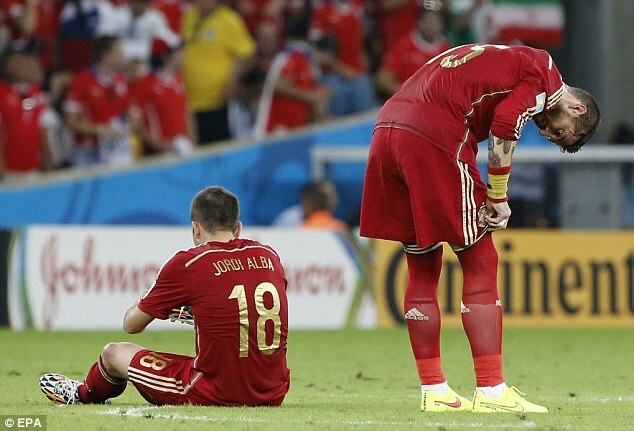 Spain, two goals down by half-time, threw the lot at them in the second-half, but it was never enough. Diego Costa missed a fine chance, and then set an equally good one up for Sergio Busquets, which he scuffed wide. At the other end, Mauricio Isla should have made it three to Chile. Chile tooks time and rhythm from the game with a succession of dramatic collapses to the turf after routine physical contact, but their win was no less deserved for that. Their work-rate was phenomenal, much of their finishing clinical, their back three heroic. Holland’s five goal had obviously had an effect on confidence, but that result should have made it harder for Spain’s second opponents, if anything. 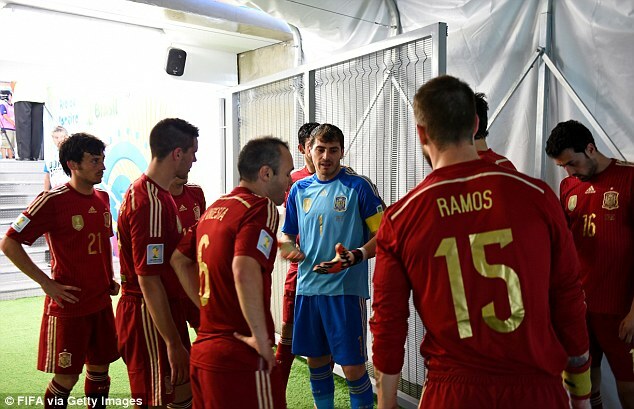 This was a game Spain had to win to stay in. 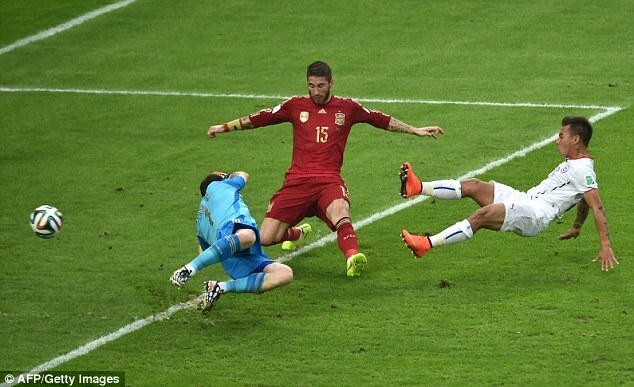 Instead, as goalkeeper Claudio Bravo repelled an Iniesta shot with six minutes to go, the reality began to sink in. 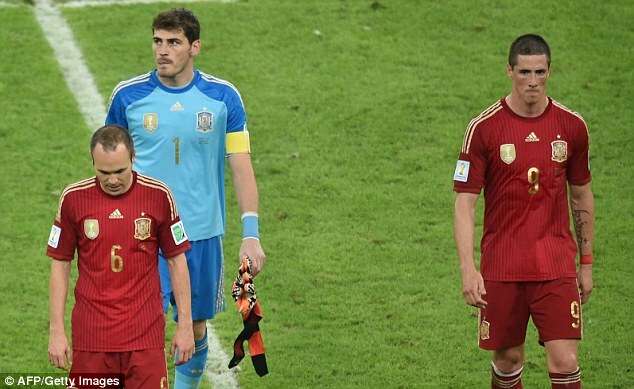 Spain were out after two games – the poorest defence of any world champions. 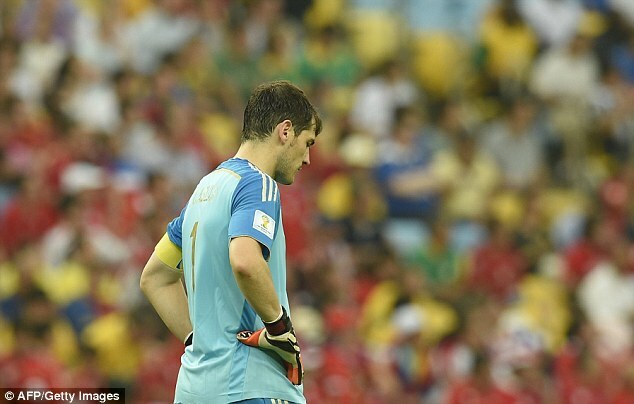 Spain also becomes the first defending champions to lose two back to back matches in the world cup group stage. The million dollar question according to dailymail.co.uk, now is not whether the era of tika-taka is over with this result, but whether it ever existed in the first place. Watching Spain’s capitulation in this competition it is impossible not to wonder: was tiki-taka not just 11 great players all along. What if it wasn’t the system that made those teams wonderful, but the players who had the technical ability to seemingly fashion a philosophy?